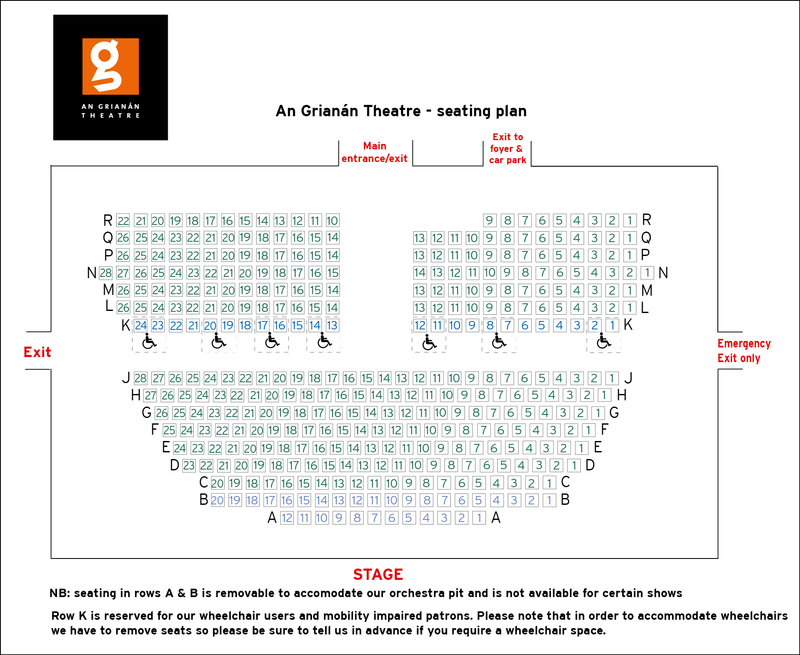 Please note that row K is reserved for patrons who are wheelchair bound or have reduced mobility. If you are a wheelchair user please let us know at the time of booking as we need to remove house seats to allow adequate room. In instances where the orchestra pit is in use rows A and B will not be available.